Australian scientists from the Monash Institute of Medical Research have "reprogrammed" adult mouse fat cells and neural cells to become stem cells that can differentiate into a variety of different cells (pluripotency). The cells, called "induced pluripotent stem cells" (iPS), are nearly identical to the naturally occurring pluripotent stems cells, such as embryonic stem cells, which are highly pluripotent, in short supply and their access restricted in the U.S. The study is published in issue 19(5) of Cell Transplantation. "Induced pluripotent stem cells have revolutionized cell reprogramming," said the study's lead author, Dr. Paul J. Verma. "One challenge is to find the most appropriate cell for reprogramming. Our study demonstrated that both neural stem cells (NSCs) and adipose tissue-derived cells (ADCs) from adult mice expressed genetic pluripotency and could differentiate into the three germ layers, endoderm, mesoderm and ectoderm. The ADCs were the most amenable to reprogramming." According to Dr. Verma, iPS cells have been shown to have many of the hallmarks of embryonic stem cells. Choosing which cells were best for reprogramming required looking at the ease of access and ease of derivation and growth of the cells in vitro. They concluded that it was likely that certain iPS cell lines will have a "higher propensity to differentiate into certain lineages (cell types)." "This variation may be related to different levels of programming achieved," added Dr. Verma. "Many different cell types need to be investigated to generate many iPS lines for specific differentiation and different research purposes." The research team concluded that ADCs represent a more clinically relevant cell type and that fat tissue can be easily accessed and grown easily and rapidly in cultures. Fat tissue cells, when reprogrammed, can also be prolific. The authors cited a study previously published in Cell Transplantation (16:9) suggesting that 100 ml of human fat tissue could yield one million clinically useful stem cells. Their work takes the development of iPS cells a step closer toward their eventual clinical use in treating human diseases. "There is considerable potential in the generation of iPS cells for the treatment of a number of disorders," said Dr. Paul Sanberg, coeditor-in-chief and Director of the Center Of Excellence for Aging and Brain Repair at the University of South Florida. "Finding the optimal source of cells to start with, is of paramount importance and this study provides reassuring data on a highly favourable source". Tat, Pollyanna A.1; Sumer, Huseyin; Jones, Karen L.; Upton, Kyle; Verma, Paul J. In recent years, scientists have shown that they can reprogram human skin cells to an immature state that allows the cells to become any type of cell. This ability, known as pluripotency, holds the promise of treating diseases such as diabetes and Parkinson's disease by transforming the patients' own cells into replacements for the non-functioning tissue. However, the techniques now used to transform cells pose some serious safety hazards. To deliver the genes necessary to reprogram cells to a pluripotent state, scientists use viruses carrying DNA, which then becomes integrated into the cell's own DNA. However, this so-called DNA-based reprogramming carries the risk of disrupting the cell's genome and leading it to become cancerous. Now, for the first time, MIT researchers have shown that they can deliver those same reprogramming genes using RNA, the genetic material that normally ferries instructions from DNA to the cell's protein-making machinery. This method could prove much safer than DNA-based reprogramming, say the researchers, Associate Professor of Electrical and Biological Engineering Mehmet Fatih Yanik and electrical engineering graduate student Matthew Angel. Yanik and Angel describe the method, also the subject of Angel's master's thesis, in the July 23 issue of the journal PLoS ONE. MIT researchers used RNA to induce these fibroblast cells to express four genes necessary to reprogram cells to an immature state. Credit: Yanik Laboratory, MIT. However, the researchers say they cannot yet claim to have reprogrammed the cells into a pluripotent state. To prove that, they would need to grow the cells in the lab for a longer period of time and study their ability to develop into other cell types — a process now underway in their lab. Their key achievement is demonstrating that the genes necessary for reprogramming can be delivered with RNA. In 2006, researchers at Kyoto University showed they could reprogram mouse skin cells into a pluripotent, embryonic-like state with just four genes. More recently, other scientists have achieved the same result in human cells by delivering the proteins encoded by those genes directly into mature cells, but that process is more expensive, inefficient and time-consuming than reprogramming with DNA. Yanik and Angel decided to pursue a new alternative by transfecting cells with messenger RNA (mRNA), a short-lived molecule that carries genetic instructions copied from DNA. However, they found that RNA transfection poses a significant challenge: When added to mature human skin cells, mRNA provokes an immune response meant to defend against viruses made of RNA. Repeated exposure to long strands of RNA leads cells to undergo cell suicide, sacrificing themselves to help prevent the rest of the body from being infected. Yanik and Angel knew that some RNA viruses, including hepatitis C, can successfully suppress that defensive response. After reviewing studies of hepatitis C's evasive mechanisms, they did experiments showing they could shut off the response by delivering short interfering RNA (siRNA) that blocks production of several proteins key to the response. Once the defence mechanism is shut off, mRNA carrying the genes for cell reprogramming can be safely delivered. The researchers showed that they could induce cells to produce the reprogramming proteins for more than a week, by delivering siRNA and mRNA every other day. Matthew Angel and Mehmet Fatih Yanik. Scientists at the UCLA Broad Stem Cell Research Center have described a population of cells that mark the very first stage of differentiation of human embryonic stem cells as they enter a developmental pathway that leads to production of blood, heart muscle, blood vessels and bone. Researchers hope that these cells could one day be used for clinical treatments of a wide range of medical conditions as the discovery may help scientists create better and safer tissues for use in regenerative medicine. It also will allow scientists to better understand the differences between pluripotent stem cells, which can become every cell in the body, and cells that have lost their pluripotency and are on their way to becoming specific types of tissue cells. The study appears today in the early online edition of the peer-reviewed journal Proceedings of the National Academy of Sciences. "Scientists are very interested in understanding how cells that are pluripotent are directed to become specific tissues," said Dr. Gay Crooks, a professor of pathology and laboratory medicine and senior author of the study. "We want to know what it is that switches on and off to make a pluripotent cell no longer be pluripotent. In this study, we found a cell population that can help us understand these processes, as it is such a close relative to embryonic stem cells, but has lost the ability to be pluripotent." During early development, human embryonic stem cells can follow three distinct developmental pathways to form the primary germ cell layers: the mesoderm, the ectoderm and the endoderm. These three germ cell layers then become all the tissues in the human body. In this study, Crooks and her team studied human embryonic stem cells that followed the mesoderm pathway, which gives rise to blood cells, blood vessels, cardiac cells, muscle, cartilage, bone and fat. 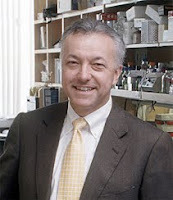 Dr. Denis Evseenko, lead investigator on the studies and an assistant researcher in the pathology and laboratory medicine department at UCLA, placed human embryonic stem cells into culture. Three or four days later, he found a small subset of the cells that had lost a key cell surface marker characteristic of the pluripotent state and had gained a new marker that is a hallmark of mesodermal cells. Because the markers are displayed on the cell surface, Crooks said, specific antibodies can be used to isolate the human embryonic mesodermal progenitors (hEMP cells) from the other cells in culture. "The hEMP cells are the earliest stage of cells that are transitioning from human embryonic stem cells into the cells of the mesoderm," she said. "While these hEMP cells appear to be committed to forming mesoderm, they have not yet determined what type of mesodermal tissue they will become. Because of this we hope they may serve as a source to produce large numbers of blood, bone or muscle cells, once we learn how to drive them further along the correct pathway." Crooks's research program focuses on making blood stem cells from human embryonic stem cells. Studies have shown that the blood stem cells created from human embryonic stem cells in the lab lack some of the functions possessed by the blood stem cells found in bone marrow or umbilical cord blood. As a result, the blood from embryonic stem cells does not develop into an optimal immune system. Crooks hopes that hEMP cells could be used to create blood stem cells as powerful and potent as those found in bone marrow and cord blood, cells that would be safe to use in human to treat such diseases as leukaemia and sickle cell anaemia. The hEMP cells were tested extensively to ensure they had lost the ability to form teratomas, encapsulated tumours with tissue or organ components. The ability to create teratomas is a hallmark of embryonic stem cells. "Researchers agree that it is not a good idea to use pluripotent stem cells in people because of the risk that they might form teratomas," Crooks said. "The hEMP cells we isolated did not have the ability to make teratomas, so they should be a safer choice when thinking about developing therapies for use in humans." Crooks and Evseenko are now studying how to best direct the hEMP cells into all the mesoderm cell lineages, including blood cells, and manipulate the cells so they become functional cells as they proliferate and differentiate. Implanting tiny plastic scaffolds seeded with genetically engineered stem cells reduced organ damage and led to better cardiac function after a heart attack, according to an animal study presented at the American Heart Association's Basic Cardiovascular Sciences 2010 Scientific Sessions – Technological and Conceptual Advances in Cardiovascular Disease. The study was designed to help determine what role cytokines – substances secreted by cells that have an effect on other cells – might play following a heart attack, said lead Matthias Siepe, M.D., lead author, assistant professor and staff surgeon at the Department of Cardiovascular Surgery, Medical University Center in Freiburg, Germany. The researchers implanted five groups of 10 rats each with tiny polyurethane scaffolds seeded with different genetically engineered stem cells. Three groups received cells that overproduced one of three cytokines: hepatocyte growth-factor (HGF), stromal cell-derived factor 1 (SDF-1) or vascular endothelial growth factor (VEGF); one group received a gene called Akt1 associated with several cytokine pathways, and the fifth group received scaffolds seeded with unmodified stem cells, Siepe said. Five more groups were injected with the same types of modified and unmodified stem cells without the plastic scaffolding. An 11th group, the control group, received a sham operation, he said. A sham procedure is similar but omits a key therapeutic element of the treatment or procedure under investigation. During six weeks of follow-up, the researchers observed significant improvements in blood pressure function in the rats implanted with scaffolds seeded with stem cells modified to overproduce Akt1, SDF-1 and HGF. There was no functional change in the group that received scaffolds containing VEGF-modified stem cells, he said. In comparison, there was a decrease in blood pressure function in the control group that got the sham procedures. In addition, blood dynamics were stable in rats that received scaffolds with unmodified stem cells. In addition, two therapies – SDF-1 and Akt1 overproduction – seemed to limit cardiac damage from the heart attack, Siepe said. Investigators at the Massachusetts General Hospital (MGH) Center for Regenerative Medicine have confirmed that induced pluripotent stem cells (iPSCs) retain some characteristics of the cells from which they were derived, something that could both assist and impede potential clinical and research uses. In their report that will be published in Nature Biotechnology and has received early online release, the researchers also describe finding that these cellular "memories" fade and disappear as cell lines are cultured through successive generations. "How faithfully iPSCs can be reprogrammed into a truly embryonic state has been a longstanding question, and we have found that the cell of origin does affect the capacity of iPSCs to differentiate in vitro into particular cell types," says Konrad Hochedlinger, PhD, of the MGH Center for Regenerative Medicine who led the research team. "But when cultured iPSCs go through many rounds of cell division, they lose that memory." A similar study from researchers at Children's Hospital Boston, published simultaneously in the journal Nature, also finds that cellular "memory" affects the differentiation potential of iPSCs. That report compared iPSCs with cells generated by somatic cell nuclear transfer (NT) – the technique used to clone animals – and finds that NT cells are closer to embryonic stem cells than iPSCs. "We still need to study the mechanisms by which nuclear transfer reprograms cells, because that process seems to work more efficiently and faithfully and may teach us how to make better iPS cells," says George Daley, MD, PhD, who led the Children's study. 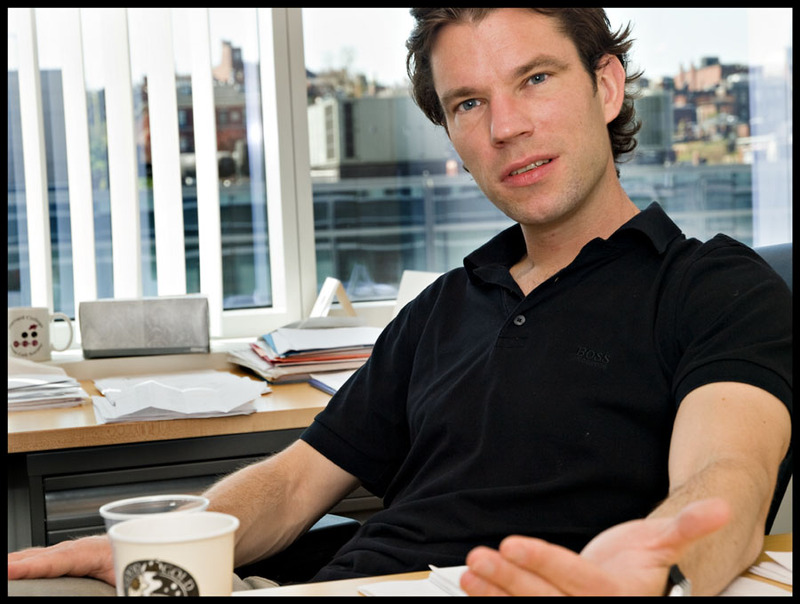 Both Hochedlinger and Daley are faculty members at the Harvard Stem Cell Institute (HSCI). Generated from adult cells, iPSCs have many characteristics of embryonic stem cells but are also known to have important differences. Earlier studies found differences in function and gene expression between iPSCs that appeared to echo characteristics of the original adult cells. To discover whether donor cell patterns of gene expression truly persisted, the MGH team studied cells from genetically identical mice originally generated from iPSCs. They indeed found differences in gene expression between iPSCs generated from different types of cells – skin cells, two type of immune cells, and muscle progenitor cells – from the same animal. Examining iPSCs generated from different animals revealed that differences based on the cell of origin were even greater than differences based on the animal of origin. There were also significant similarities between iPSCs and cells of origin in factors related to the epigenetic control of gene expression. In addition, the potential of iPSCs to differentiate into particular cell types varied, with those originating from either immune cells or muscle precursors being much easier to coax into forming blood progenitors than were iPSCs derived from skin cells. Long-term culturing of any type of cell requires regularly splitting cultures into smaller populations and transferring them into new dishes or plates, a process called passaging. Because previous studies had suggested that repeated passaging could strengthen iPSC's similarities to embryonic stem cells, the research team investigated whether the process might help erase the cellular memory. Their experiments confirmed that cell-of-origin-based differences – both transcriptional and epigenetic – became less pronounced with subsequent passaging and totally disappeared by the 16th passage. "Completely reprogramming cells appears to be a gradual process that continues beyond the iPSC stage, which may explain many of the reported differences between iPSCs and embryonic stem cells," says Hochedlinger. "The propensity of early-passage iPSCs to regenerate specific cell types could have clinical advantages, but there also are implications for the use of iPSCs to model diseases, since we'll need to make sure that differences between cells derived from patients and from healthy controls really reflect a disease process and not this cell-of-origin memory." Adult cells that have been reprogrammed into induced pluripotent stem cells (iPS cells) do not completely let go of their past, perhaps limiting their ability to function as a less controversial alternative to embryonic stem cells for basic research and cell replacement therapies, according to researchers at Children's Hospital Boston, John Hopkins University and their colleagues. The findings, published online July 19 in Nature, highlight a major challenge in developing clinical and scientific applications for the powerful new technique of making iPS cells, which, like embryonic stem cells, have the capacity to differentiate into any type of cell in the body. Similar findings were published simultaneously online in Nature Biotechnology by other Boston researchers. "iPS cells retain a 'memory' of their tissue of origin," said senior author George Daley, MD, PhD, a Howard Hughes Medical Institute investigator and Director of the Stem Cell Transplantation Program at Children's. "iPS cells made from blood are easier to turn back into blood than, say, iPS cells made from skin cells or brain cells." In contrast, another technique known as nuclear transfer creates pluripotent stem cells without apparent memory and equally adept at transforming into several tissue types, the paper reports. In iPS cells, the memory of the original donor tissue can be more fully erased with additional steps or drugs, the researchers found, which made those iPS cells as good as the nuclear-transfer stem cells at generating different types of early tissue cells in lab dishes. The residual cellular memory comes in part from lingering genome-wide epigenetic modifications to the DNA that gives each cell a distinctive identity, such as skin or blood, despite otherwise identical genomes. In the study, the persistent bits of a certain type of epigenetic modification called methylation were so distinctive in iPS cells that their methylation signatures alone could identify their tissues of origin. "We found the iPS cells were not as completely reprogrammed as the nuclear transfer stem cells," said co-senior author Andrew Feinberg, MD, MPH, director of the Center for Epigenetics at Johns Hopkins, whose group did systematic epigenomic analyses of the cells. "Namely, DNA methylation was incompletely reset in iPS cells compared to nuclear transfer stem cells. Further, the residual epigenetic marks in the iPS cells helped to explain the lineage restriction, by leaving an epigenetic memory of the tissue of origin after reprogramming." Epigenetic memory may be helpful for some applications, such as generating blood cells from iPS cells originally derived from a person's own blood, the researchers said. But the memory may interfere with efforts to engineer other tissues for treatment in diseases such as Parkinson's or diabetes or to use the cells to study the same disease processes in laboratory dishes and test drugs for potential treatments and toxicities. "These findings cut across all clinical applications people are pursuing and whatever disease they are modelling," said Daley, also a member of the Harvard Stem Cell Institute and professor of biological chemistry and molecular pharmacology at Harvard Medical School. "Our data provide a deeper understanding of the iPS platform. Everyone working with these cells has to think about the tissues of origin and how that affects reprogramming." iPS cells became a focal point of stem cell biology four years ago when a Japanese team led by Shinya Yamanaka created the functional equivalent of embryonic stem cells from adult mouse skin cells with a cocktail of four molecular factors. A year later, Yamanaka's team, Daley's team and a University of Wisconsin group all independently reported creating human iPS cells from adult skin cells, raising hopes for future clinical and research applications. Earlier this month, Daley's team and two other groups reported making human iPS cells from adult blood cells, a faster and easier source. In that study, iPS cells from blood were also better at differentiating back into blood cells than into other tissue types. In the current study, first author Kitai Kim, PhD, postdoctoral fellow in the Daley lab, tested mice iPS cells head-to-head with pluripotent cells made through somatic cell nuclear transfer. Best known as the cloning method that created the sheep Dolly fourteen years ago, nuclear transfer reprograms an adult cell by transferring its nucleus into an unfertilized egg cell, or oocyte, whose nucleus has been removed. The process of transferring the nucleus immediately reprograms it epigenetically, replicating the same process that happens to sperm upon fertilization, Kim said. "Stem cells generated by somatic cell nuclear transfer are on average, closer to bona fide embryonic stem cells than are iPS cells," Daley said. "This has an important political message – we still need to study the mechanisms by which nuclear transfer reprograms cells, because the process seems to work more efficiently and faithfully. Learning the secrets of nuclear transfer may help us make better iPS cells." Kim began the study with older mice (ages 1 to 2), aiming to emulate the future human clinical scenario, which is likely to involve older people. Older cells are set in their ways and harder to reprogram, Kim said. Kim originally wanted to compare the transplantation success of blood cells made from three different pluripotent sources: iPS cells, embryonic stem cells (the gold standard), and nuclear transfer stem cells. He did not get as far as transplantation. "Even in vitro we observed strikingly different blood-forming potential," he and his co-authors wrote in the paper. "We focused instead on understanding this phenomenon." iPS cells from blood were best at making blood, and fibroblasts were best at differentiating into bone, a closely related tissue, Kim and his colleagues found. The researchers could reset the iPS cells more fully by differentiating them first into blood cells and then reprogramming them again, or by treating them with drugs that change their epigenetic profile. In contrast, nuclear transfer stem cells from the same sources – blood cells and skin – were equally able to differentiate into blood and bone, Kim and his colleagues found. Like iPS cells, the nuclear transfer technique also creates patient-specific cells, but has not yet proven successful with human cells. "The lineage restriction by tissue of origin is both a blessing and a curse. You might want lineage restriction in some cases, but you may also have to do more work to make the iPS cells more totally pluripotent." Another study published online simultaneously in the journal Nature Biotechnology reports similar findings. "Our paper comes to a similar conclusion that a retention of memory reflects the cell of origin and affects the capacity of the iPS cell to differentiate into other cell types," said senior author Konrad Hochedlinger, PhD, a stem cell biologist at the Massachusetts General Hospital Center for Regenerative Medicine. Like Daley, he is a member of the Harvard Stem Cell Institute, who demonstrated another method to more fully reprogram iPS cells. "When we let the cells go through a lot of cell divisions, they lose the memory," he said. Researchers at the Stanford University Medical Center have developed a technique they believe will help scientists overcome a major hurdle to the use of adult stem cells for treating muscular dystrophy and other muscle-wasting disorders that accompany aging or disease. They've found that growing muscle stem cells on a specially developed synthetic matrix that mimics the elasticity of real muscle allows them to maintain their self-renewing properties. "Cells don't normally exist in contact with a rigid cell culture dish," said Helen Blau, PhD, the Donald E. and Delia B. Baxter Professor and member of Stanford's Institute for Stem Cell Biology and Regenerative Medicine. "They sit on soft tissue. By mimicking this environment we can really influence their function and allow them to self-renew in ways we've never been able to achieve before." Adult stem cells already exist in the body, and are important in regenerating tissues like blood, muscles and neurons in the brain. However, scientists have struggled to produce them in quantities needed for therapies because the cells differentiate and lose their "stemness" as soon as they are placed in a tissue culture dish. This new method of growing the cells creates a way to study the behaviour of many types of adult stem cells in culture and may revolutionize the ability to produce these cells for future therapies, say the researchers. Blau is the senior author of the research, which will be published online July 15 in Science Express. Postdoctoral scholar Penney Gilbert, PhD, and graduate student Karen Havenstrite share first authorship of the work. Self-renewal, or the ability to become both another stem cell and a differentiating daughter cell, is a defining trait of stem cells. This ability is necessary for a small number of cells to, for example, fully reconstitute the pantheon of blood cell types necessary to regenerate a patient's immune system after chemotherapy or to successfully contribute to the long-term generation of new, healthy muscle tissue. Until now, however, all attempts to grow these and some other adult stem cells, like blood stem cells, in culture have resulted in the cells differentiating into more specialized — but less therapeutically useful — progenitor cells. This differentiation constitutes a major obstacle to treating muscle-wasting diseases, for using cord blood or for treating blood cancers. The researchers wondered if the way the cells are normally grown in culture could be the problem. After all, as Blau pointed out, cells are used to rubbing shoulders comfortably with their neighbours on all sides rather than being splayed out and anchored on a rigid plastic culture dish that is 100,000-fold less elastic than true muscle. To find out if the cells would be happier on a softer, more giving surface, they had to develop an entirely new culture system. They turned to a material called hydrogel, which is made up of a latticework of polyethylene glycol polymers filled with water. Decreasing the percentage of polymer molecules in the mix makes the resulting matrix more elastic and wobbly; increasing it makes it more dense and rigid. Hydrogel is often used as scaffolding to grow cells in two- and three-dimensional arrays useful in tissue engineering. But because it can swell over time, it was not possible to accurately calibrate the amount of proteins and other components needed to maintain the cells in this type of experiment. Gilbert and Havenstrite tinkered with the system until they came up with a version that maintains a constant volume, making it possible to test the effects of gels of different elasticity that all contained the same amount of protein. They then patterned the gel into hundreds of tiny wells and added one freshly isolated muscle stem cell per well. After letting the cells grow for one week, the researchers found that the softer, or more pliant, gels mimicking the elasticity of muscle tissue had many more cells than the less elastic gels. Closer investigation using an algorithm they developed for automated cell tracking showed that it was not because the cells were dividing more quickly, but because not as many were dying during the culture period. The computer program, which they have called the Baxter Algorithm to honour the Baxter Foundation that funded this portion of the work, reduced the time needed to analyze the cell division data by more than 90 percent. "This in itself is a huge advance," Blau said of the software. "Until now it's been pretty impossible to do these studies without spending half a year or more manually scoring pictures or movies of cells in culture. Now we can figure out exactly how the cells divide and move, who begets who. As a result we can begin to study all types of variables." After studying the dynamics of the muscle stem cells' division and dying, the researchers began to study specific aspects of their biology. They found that the cells grown on the softer surface were less likely than those grown on the harder surfaces to express a gene associated with differentiation called myogenin. They were also as able as freshly isolated muscle stem cells to contribute to the development of leg muscles when transplanted into recipient mice. "Testing their function in animals like this is extremely important," said Blau. "It's really the only way to confirm their 'stemness.'" Gilbert found that one-third of cells grown on the muscle-mimicking substrate expressed a muscle-stem-cell-specific gene (indicating that at least one of the two cells was a stem cell) but that only 6 percent of those grown on the plastic surface did so. Furthermore, when Gilbert transplanted five doublets (for a total of 10 cells) into mice from the muscle-mimicking substrate, the cells made themselves at home and began to contribute to muscle fibre development in three of 12 recipient animals. When she repeated the experiment with doublets grown on hard surfaces, none of the animals demonstrated similar engraftment. "Clearly the cells grown on the more-elastic surfaces have better survival and self-renewing properties than those grown on standard tissue culture dishes," said Blau. "We conducted our experiments with muscle stem cells, but I expect this will be true for other types of adult stem cells as well." In addition to exploring this possibility in the future, the researchers will also investigate how their findings may help advance therapies for conditions like muscular dystrophy. "Researchers really had no way to grow these cells in the laboratory before," said Blau. "These findings may allow us one day to replenish the muscles of patients with muscular dystrophy and other muscle-wasting diseases with healthy stem cells." Presenting at the UK National Stem Cell Network annual science conference today (13 July), Professor Michael Schneider describes a new approach to treating heart attack and cardiomyopathy using stem cells. "We really want to use stem cells from the patients themselves that we know can give rise to beating heart cells and these are not found in bone marrow. The good news is that we're now finding ways to identify and purify such cells." Around 1000 patients have been treated in approximately 20 trials worldwide, mostly using bone marrow stem cells or derivatives of bone marrow cells to repair damage caused by heart attack. 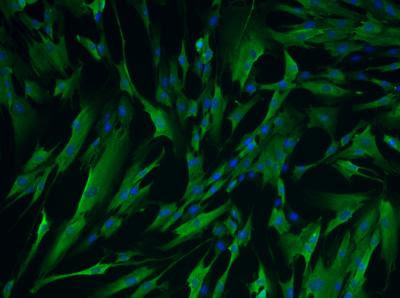 There has also been a significant body of work looking at ways of producing beating heart cells from stem cells. The best proven approaches to creating new beating heart cells are using embryonic stem cells, induced pluripotent cells and heart-derived stem cells. "The biggest challenge is to make an ideal product for transplant, which would be either a mixture of heart muscle- and blood vessel-forming cells or a pure population of some sort of precursor that could give rise to both muscle and blood vessel cells." Professor Schneider's team have discovered a way to identify heart stem cells to purify them for transplant. They first developed the method in mice and although the identifying markers are quite different in human cells, they have been able to successfully map their knowledge from mice onto humans. "We've developed a method to identify cells that have three important characteristics: They are definitely stem cells; they have the right molecular machinery turned on in order to become heart muscle or blood vessel; and they don't yet have any of the full characteristics of heart muscle or blood vessel cells such as producing cardiac myosin - an important protein in heart muscle cells." The next stage of the research is to develop this technique into a method for extracting, purifying and multiplying heart stem cells in the clinic to be used to repair heart damage arising from heart attack or cardiomyopathy. Professor Schneider's laboratory uses advanced robotics, automated microscopy and other high-throughput methods to screen many thousands of experimental conditions in order to devise the best ways to grow the cells and instruct them to go down the route of becoming heart muscle. The British Heart Foundation, the European Research Council, the European Union (through the EU FP7 CardioCell consortium), the Leducq Foundation and the Medical Research Council funded the research.